The Rice Tank campsites are located next to an old stock tank, just over four miles down the Glenn Spring Road. No shade available. Moderate ground cover due to vegetation around the old earthen "tank". This campsite area is next to an old earthen tank used in the 1920's to hold water for livestock, as well as an old livestock corral and loading chute. 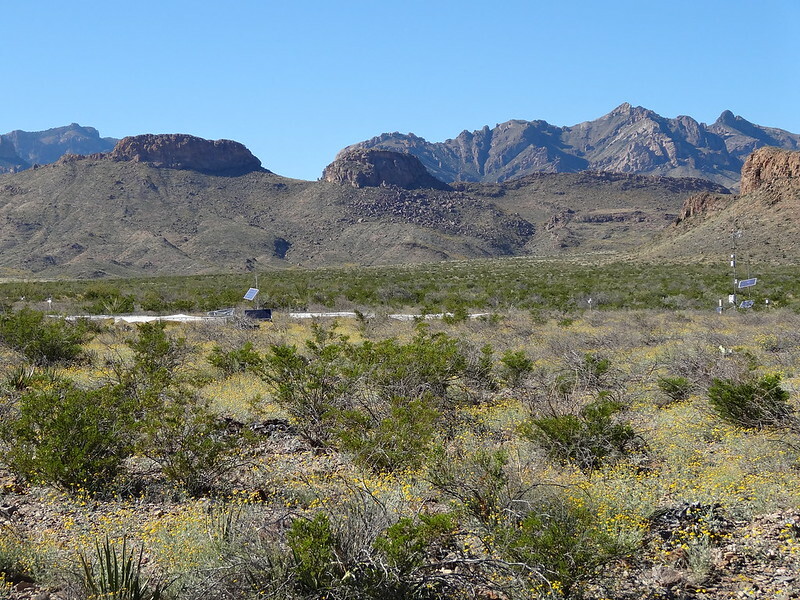 Good views of the Chisos Mountains (South Rim) to the west and Elephant Tusk and Backbone Ridge are visible to the south. RT-1 and RT-2 are close to each other and would be suitable for splitting a large camping group between both sites. Do not attempt to camp in the historic corral; camping inside historic structures is prohibited. This site is one of our favorites. 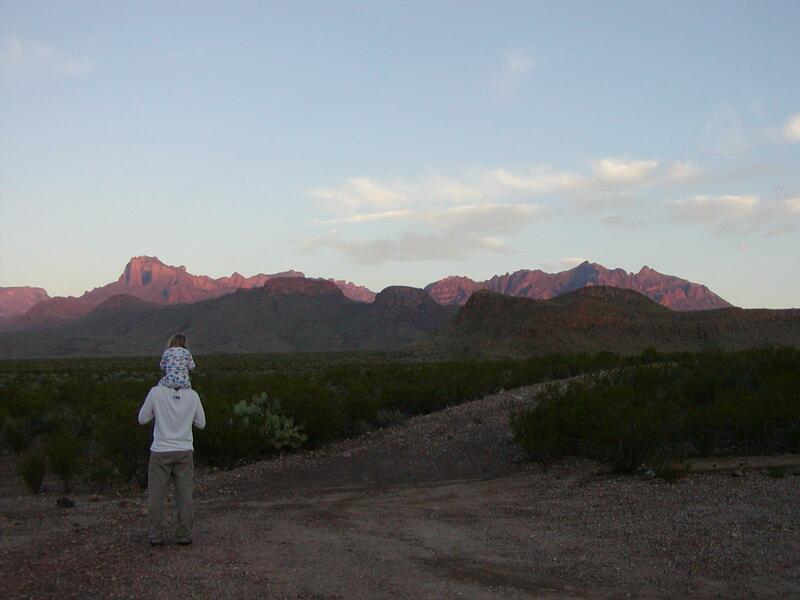 It's off Glenn Springs Road so you don't have cars driving 10ft from your tent, it has amazing sunrise views of the Chisos, Nugent and Elephant Tusk. You are 20 minutes from pavement, so it has great access for a backcountry site. Also seems to be a lot of birds and bats there too. If you stay at this site, or any other backcountry site please please please pack out your TP! My experience there was a swarm of mosquitoes at the tank itself. I was just passing through though. Had a seen a morning like in your picture, I could see it could be a magical place. Spent several nights out at Rice Tank last week. It's a very nice and peaceful site and far enough off Glenn spring road you don't get bothered by passing vehicles. The only draw back is the research station the govment placed right in your viewing corridor. Of all the desert in the park, they had to stick it there. We happened to ask the ranger what is up with that site just this past month. He said he has wondered about it also. He said he has even tried to find out who set it up and who is responsible for it, but no one knew. So, the rangers don't know how long it will be there or what it is researching. My bet is those Jack wads who put it up have long graduated from their fancy college and forgot to tell the govment they are done. I bet you a peso that the stuff slowly rots away just like the other research station that is slowly rotting away in Pine Canyon. Just because I'm feeling the rant; ever notice how the govment park owners put the bear box at Pine Canyon #4 right in the very center of the vista from the campsite towards Crown Mountain and Lost Mine Peak. And they KNOW what's best for the park. That picture brings a tear to my eye.